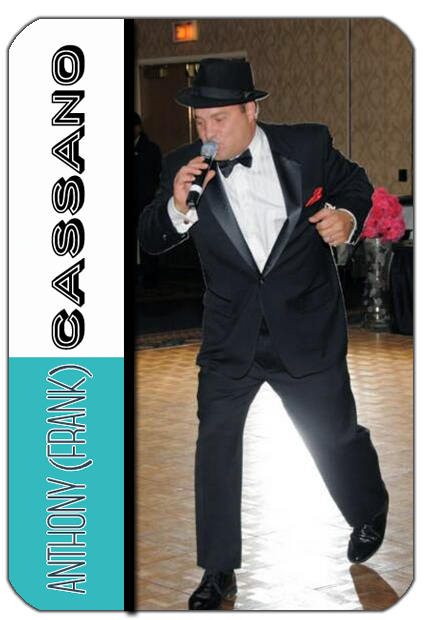 Music For You, Featuring Anthony (Frank) Cassano as "Frank Sinatra" has been tantalizing the ears of Chicagoland for over 25 years. Offering the widest variety of music, Music For You accommodates virtually any special occasion. Only the finest in Hi-Tech equipment and lighting will be used to guarantee that your special occasion is most memorable. Growing up in a Italian household his parent's often had Frank Sinatra, Dean Martin,Tony Bennet playing in the background. Anthony started to idolize Frank Sinatra and was blessed with a great ear for music. Anthony's love for music sent him in a different path in the early 80's being a avid collector of music and electronic equipment he purchased 2 turntables and started DJing small party's and in 1987 started "Music For You Mobile entertainment service". He started singing in 1992 which he incorporated in all of the parties he performed at. By 1994 Anthony Had 8 full time Dj's and singers working for him and the parties never stopped. In 2007 he brought his main love "His Trumpet" back into the act and plays from his heart with every breath he takes and note he plays. Anthony still enjoy's every minute of entertaining even after 36 years of being in the business. HE CONSIDERS HIMSELF LIKE FINE WINE, GETTING BETTER WITH AGE. It all started for Anthony(Frank) Cassano at the young age of 8 in 1972. Anthony's Parents Jimmy and Fran wanted him to play the Clarinet but kept saying Cornet to the band instructor, so Anthony started out with a smaller version of the Trumpet. 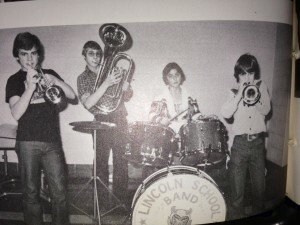 In 1978 he started his first band called the "Rythem Rockers" which had 2 professional gigs for School district 81 PTA and the Cub Scouts Blue & Gold Dinner. Anthony was awarded a 10 day scholarship to Purdue University's Summer Band Camp. Anthony went on to Holy Cross High School in River Grove Illinois and pursued his music career in the concert, jazz, and marching band, winning many awards for his music accomplishments.